A walking tour through the streets of the Jewish quarter and the Museum of Jewish History. During the tour you'll learn about some main characters of the Medieval Jewish community and the evolution of this neighborhood until the expulsion of 1492. Duration: 1 hour and 15 minutes (approx.). Information and bookings: reserves.callgirona@ajgirona.cat or telephone +34 972 21 67 61. Organized by: Patronat Call de Girona and Terramar. 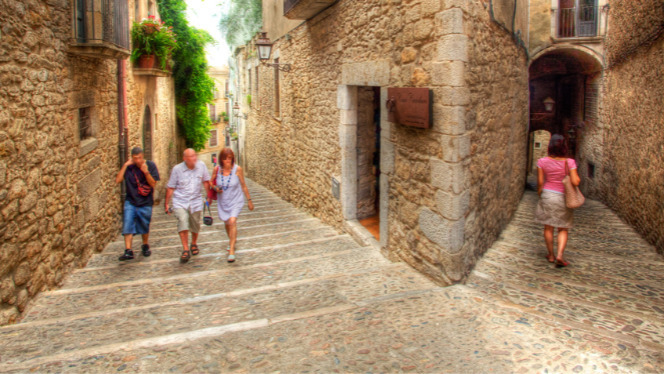 Photo: Patronat de Turisme Costa Brava.